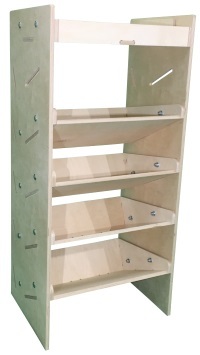 Plywood Universal Modular Van Racking and Modular Van Shelving System. Comes complete with Three(3) adjustable shelves and Six(6) free adjustable shelf dividers. 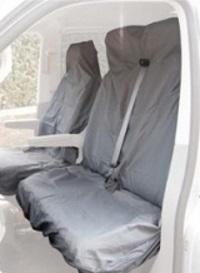 All units are cut to order by a state of the art CNC machine. 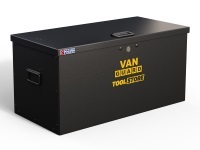 Heavy duty and hard wearing and made to last - specifically designed to withstand the rough and tumble of a working van. All units are manufactured from CE marked 12mm Birch plywood. The units are constructed using traditional mortise and tenon joints (front, back, base and sides) - so ensuring strength and durability. In addition to the mortise and tenon joints all shelves are then nailed together. 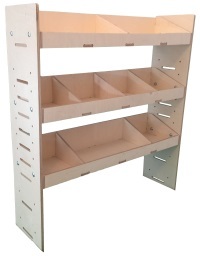 Shelf heights are adjustable and up to Seven(7) shelves can be used within each unit. Extra shelves are sold separately. Six(6) FREE shelf dividers are provided with each unit. Each divider can be screwed in to adapt the shelves / unit to suit personal requirements. Extra dividers can be purchased separately if required. 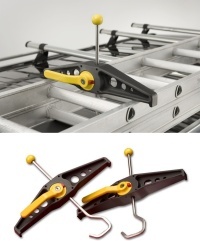 The unit can be assembled in under 10 minutes using a 13mm spanner or socket. Shelves are supplied fully assembled. The only assembly required is to bolt the shelves to the side panels. All coach bolts, washers and nyloc nuts are supplied. Dividers are secured using screws (supplied). 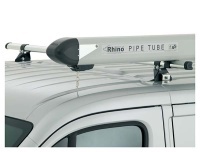 The unit is designed and manufactured to fit primarily over the Drivers (off side) rear wheel arch but can be fitted anywhere required in the van. Units can be fitted using L shaped brackets (not supplied), screwed, bolted or riveted. In addition, each shelf will fit Six(6) x XL3 plastic storage bins (Not Supplied). External Size: (H)1087mm x (W)1000mm x (D)269mm. Individual Shelf Internal Size: (H)138mm x ( W)952mm x (D)245mm. Free delivery (See Terms and Conditions). 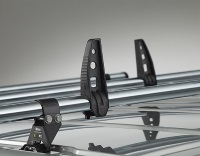 Manufactured By UK Van Racking.